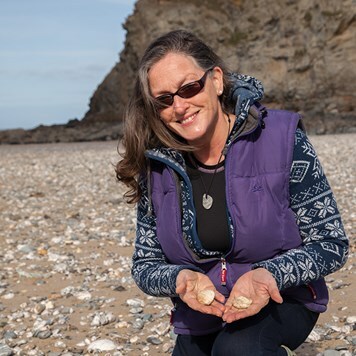 Today we've teamed up with Cally from Infinite Wave Cornish Agates to share with you 14 top tips when beachcombing at your local beach! 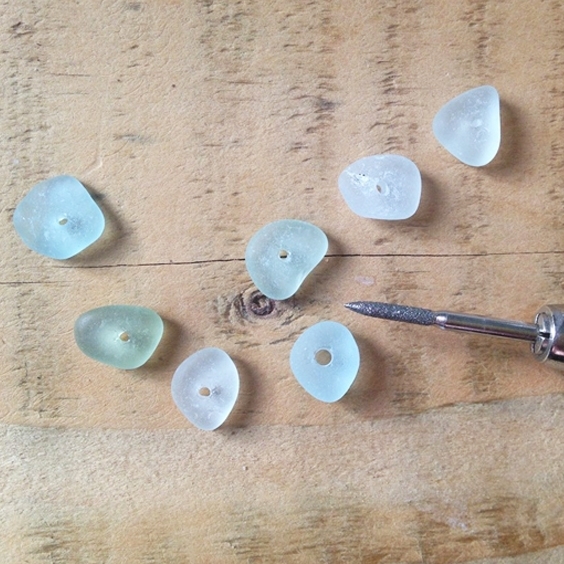 This post is perfect for beginners, wishing to find sea glass, agate, shells or anything that can be used to create beautiful handmade jewellery. Or maybe you've been beachcombing but struggled to find what you're looking for? Cally is a gemmologist, with years of experience in beachcombing. 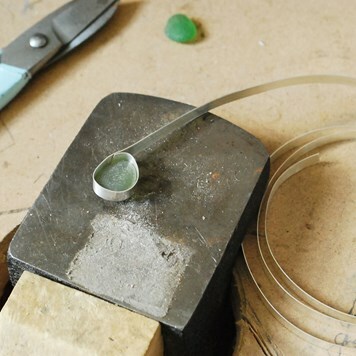 Cally is collaborating with Ben, a geologist and lapidary (he cuts and polishes stone) to produce Cornish Agate Infinite Wave Jewellery, a jewellery business offering beautiful Cornish agates transformed into stunning jewellery. We love finding other small, creative businesses in Cornwall, and feel so proud that we can work together to create something special. Read our interview with Cally here and discover more about this small local business, along with their top Kernowcraft recommendations! Beachcombing is the process of "combing" the beach and searching the seashore, looking for treasures and things that have value or interest to an individual. The more you visit the beach, the more likely you are to find what you are looking for or of finding something unexpected. Don't be worried about heading out in the rain, you could be missing out on great treasures! There is no such thing as bad weather, just inadequate or inappropriate clothing - so make sure you wrap up warm when it's chilly and wear sturdy shoes or wellington boots. Whatever you are looking for on the beach, it's better to search for one thing such as sea glass or agates, rather than looking for both. This approach will increase your find rate for your specific search. You will of course still get random unexpected finds, which are a bonus, and part of the joy of beachcombing. You’ll never be caught out by the tides if you check a website such as Magic Seaweed which is our favourite. Always stay safe when planning a beachcombing day out and be vigilant of the dangers such as being sure to avoid approaching cliffs where there are rock falls. Do your research and establish how fast the tide comes in, which can be alarmingly fast on gently sloping beaches and find out if there are any areas where people have previously been cut off by the tide. Discover new reads about your local area, discover exciting facts and more about what you could find at your local beaches. If you aren’t finding much on your local beach, head to a few other beaches and find the best one for you. The beaches on the north and south coasts of Cornwall are different, with driftwood and sea glass more usual on the south coast and the best agates on the north coast. The secret is to walk slowly and mindfully; the more pebbles you look at, the more likely you are to find what you're looking for. Take your time and enjoy your day out exploring the beach. Remember that finding anything is a bonus! You can get involved in lots of online beachcombing groups, chat with other beachcombing enthusiasts and share tips and photos of your finds. There are several Facebook groups where you can share photos of your finds such as Beachcombing British Coastline or why not start a group for yourself? Attending beach cleans is a great way to do something for the environment and also find discoveries at the same time! 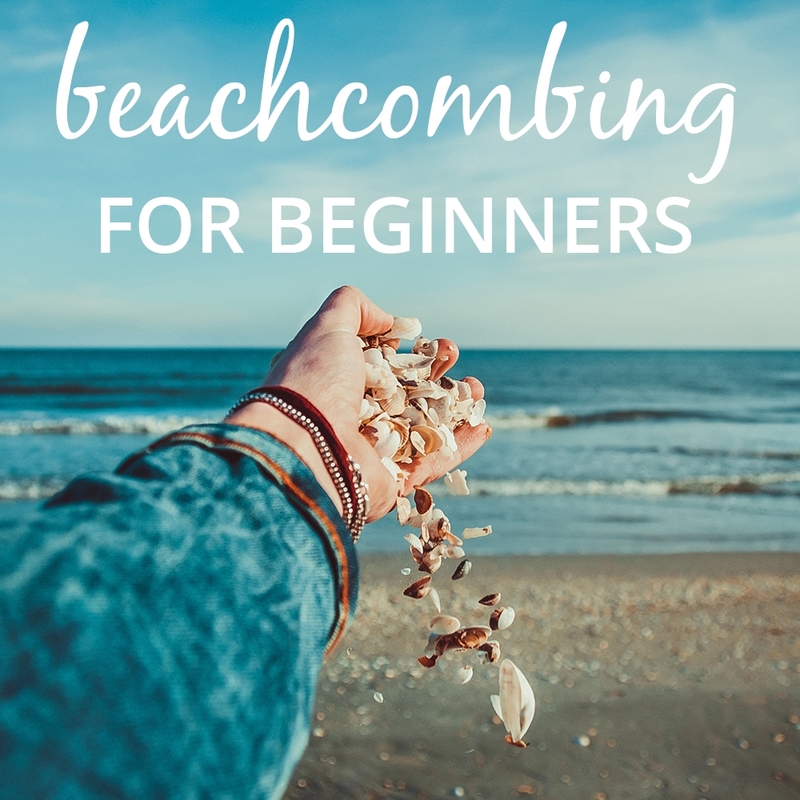 It's a great way to meet new people and find out secrets and top tips from experienced beachcombers! You need to make sure that you check the permissions of your local beaches and whether collecting is allowed. It may be that the beach is privately owned and you will need to contact the owner before heading down. Is the sun low or high in the sky? It's a good idea to make a note of what the light conditions are to make it easier to find what you are looking for. For example, if you are on the search for sea glass, a bright sunny day is best for this as the sunlight will shine through the glass making it easier to spot. When the tide is going out, most of the treasures you are after will show up better when they are wet. Both agates and sea glass will be easier to spot - so get those wellies on! Beachcombing books are great to have at hand for reference. You can use this for tips and gain more of an understanding of your discoveries. Go prepared! A small bucket is a practical way to collect a few good finds rather than being tempted to fill up a huge rucksack or stuffing your pockets. But most of all – Enjoy the experience, living beside the sea is amazing and you can find so many beautiful finds that you can turn into something special.